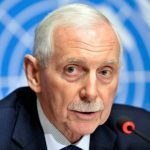 “Migrants are the ultimate agent of development,” William Lacy Swing, head of the International Office for Migration, says in this episode of Global GoalsCast. Indeed, 13 of the 17 Global Goals are linked to migration. “We can’t achieve the Global Goals without encouraging people to move around,” says co-host, Edie Lush. Decisions made now about migration – by countries and individuals – will likely determine whether the Goals are achieved by the deadline of 2030. “the economic powerhouse that migrants are needs to be nurtured,” says Louise Arbour, Special Representative for International Migration for the United Nations. In this episode, you will meet Brenda, a migrant from Mexico, who as a fourth grader crossed the Rio Grande at night with little but her parent’s dreams for her. Now, she works as a software engineer for Google. Migration changed her life. But what about a child in Mexico today who might want to follow her path? “One of the largest threats to the global goals is the backlash against migration in major parts of the developed world,” says co-host Claudia Romo Edelman. How can the backlash against migrants be eased so the power of migration can drive global development? Romo Edelman and Lush seek answers from former mayors of San Antonio and Dublin as well as from a leading representative of The Catholic Church. Fear can’t be addressed without empathy, they suggest. “They really do feel threatened or they really do feel rendered insecure or disoriented,” says the Father Michael Czerny, undersecretary to the “Section for Refugees and Migrants” in the new Vatican department for the Promotion of Integral Human Development. “So its worth being sympathetic first of all rather than condemnatory.” An orderly system setting the worlds rules for migration will help reassure people, says Romo Edelman. Aqel Biltaji is the former mayor of Amman. He was appointed by the cabinet of the Greater Amman Municipality in September 2013. 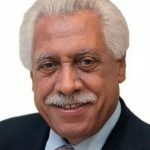 He had occupied several positions over the course of his life most famously as a tourism adviser to King Abdullah II and as chief of Aqaba’s city council. Brenda is actually studying Computer Science at UT-Austin. She is undocumented and was the first in her family to graduate from high school. She has a memorable story about, as a very young child, crossing the border into the United States with her family. At ARS, she participated in a competition at MIT where her group designed and built food storage units that could be used in the desert. She has interned at Google and has a job offer for when she graduates from college. 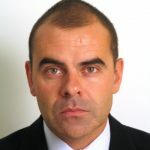 Brendan Carr is an Irish Labour Party politician and member of Dublin City Council. 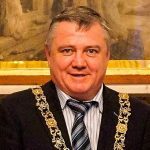 He was Lord Mayor of Dublin 2016/2017.He was first elected to Dublin City Council at the 1999 local elections as a member for the Cabra-Glasnevin local electoral area. He was re-elected in 2004 but did not contest the 2009 local elections. He returned to Dublin City Council representing the Cabra-Finglas area at the 2014 Local Elections. Carr is a SIPTU trade union official. Henry Cisneros co-founded CityView in 2000 and serves as the firm’s chairman and sits on each of CityView’s Investment Committees. In 1981, Cisneros became the first Hispanic-American mayor of a major U.S. city, San Antonio, Texas, where he was elected to four terms. In 1992, President Clinton appointed him Secretary of the U.S. Department of Housing and Urban Development. In 1997, he became president and COO of Univision Communications, the Spanish-language broadcaster. He is a member of the advisory boards of the Bill and Melinda Gates Foundation and the Broad Foundation, and was honored by the National Housing Conference as the “Housing Person of the Year”. Formerly deputy director of the Brookings-Bern Project on Internal Displacement, Khalid Koser is the executive director of the Global Community Engagement and Resilience Fund. He is an expert in international migration, refugees, asylum, and internal displacement. 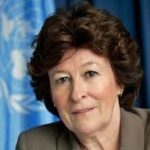 Louise Arbour, CC GOQ is a Canadian lawyer, prosecutor and jurist. She is currently the UN Special Representative for International Migration. Arbour was the UN High Commissioner for Human Rights, a former justice of the Supreme Court of Canada and the Court of Appeal for Ontario and a former Chief Prosecutor of the International Criminal Tribunals for the former Yugoslavia and Rwanda. From 2009 until 2014, she served as President and CEO of the International Crisis Group. She made history with the indictment of a sitting head of state, Yugoslavian president Slobodan Milošević, as well as the first prosecution of sexual assault as the articles of crimes against humanity. 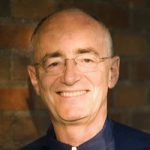 Michael Czerny, S.J., is a Canadian Jesuit who has worked with various Jesuit social justice initiatives for over thirty years. In December 2016,Pope Francis appointed Jesuit Father Michael Czerny as an undersecretary to the “Section for Refugees and Migrants” in the new Vatican department for the Promotion of Integral Human Development. Czerny first served as the founding director of the Jesuit Centre for Social Faith and Justice in Toronto from 1979 to 1989, then as director of the Human Rights Institute at the University of Central America (UCA) in El Salvador. From 1992 to 2002, Czerny served as the Secretary for Social Justice at the Jesuit Curia, and subsequently served as the founding director-coordinator of the African Jesuit Aids Network (AJAN) until 2010. Since 2009 has been an adjutor to the African Bishops Conference and Synod, as well as personal assistant to Cardinal Peter Kodwo, president of the Pontifical Council for Justice and Peace. Philippe Legrain is a British political economist and writer. He specializes in global and European economic issues, notably globalisation, migration, the post-crisis world and the euro. 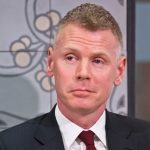 A visiting senior fellow at the London School of Economics’ European Institute, he is a former adviser to European Commission president José Manuel Barroso from 2011 to 2014. William Lacy Swing is the Director General of the International Organization for Migration. He is a diplomat and former United States Ambassador, and United Nations Special Representative of the Secretary-General and Under Secretary General. [00:00:01] P1: I could not have had the opportunities I had if I had been over there. I will not have gotten to intern for Google or even have a job with them now. [00:00:11] P2: Yes. The world is on the move. And we will see more of that. [00:00:15] P3: The economic powerhouse that migrants are I think has to be nourished. [00:00:20] P4: Am deeply concerned over the policies of some national leaders are taking at the moment putting disparate xenophobic chauvinistic view of society is going to damage the world in general. [00:00:43] CG: Welcome to the Global Goals cast. The podcast that explores if we can change the world. I’m Edie lush Lush and I am Claudia Romo Edelman. We’re happy to have you here. And this episode we’re going to look at migration. Why is it essential? And how the backlash against migration is the direct threat to the Global Goals set by the United Nations, right after this. [00:01:06]P5: In every episode we will give you the sticky facts and figures that you will want to share with your friends over coffee. All data is brought to you courtesy of SASS, our official analytics and data visualization partners. And you can go to our website at GlobalGoalsCast.org to find even more data visualizations and maps. We love you SASS. [00:01:15] EL: Welcome back. On this episode we’re going to talk about an issue close to my heart and Claudia’s and that’s migration. We’re both migrants, we and our children have benefited enormously because we are able to move from country to country. For me it’s the U.S., then the Bahamas, back to the U.S. became an internal migrant moving from the West Coast to the East Coast, and now I live in the UK and Claudia, you went from Mexico to..
[00:01:41] CG: Well practically everywhere. [00:01:43] EL: Enough about us, but we’re going to look at migration through a very special lens today and that’s not just the lens of the good migration has done for us. And the millions of other individuals and families or even the really familiar discussions of the desperate people fleeing the world’s most horrific troubled spots. [00:02:00] CG: Now we want to highlight how different the world would look like 12 years from now depending on the decisions about whether we close off migration, we close the borders or we build bridges and whether we encourage a migration that is more orderly and systemic or we just want to build walls. [00:02:17] EL: Migration is baked into the Sustainable Development Goals. Here’s William Lacy Swing, the director of the International Organization for Migration explaining the connection. [00:02:26] LS: 3.5% of the world’s population are international migrants. That’s the 244 million as I mentioned. But these 3.5 percent of the world’s population are producing 9 percent of global GDP and that is 4 percent more than they would have produced if they stayed at home. So when people ask me what’s the relationship between migration and development, I say migrants are the ultimate agents of development. [00:02:53] CG: To show the power of migration in a few minutes we’re going to introduce you to Brenda who we love because she’s such an example about a typical story of a girl that crossed the Rio Grande from Mexico into the U.S. when she was nine. And with nothing but her parents dreams of a better future for her. So you will see how that arrival has been affected not only her but also her family and both Mexico and the U.S. She is earning money, sending money home etc. So we will talk to you about what could happen over the next 12 years if the next Brenda, some nine years old in Mexico today, stop from repeating her journey by the backlash against migration. [00:03:40] EL: 12 years of course is the year 2030 and that’s a year that the U.N. has set to achieve 17 global goals to end extreme poverty and encourage growth in ways that don’t wreck the environment. Our job on this podcast is to hold those goals up to the light and ask what it’s going to take to achieve them, highlight successes and call out threats. It actually surprised me to see how many of the Global Goals were linked it to migration. 13 out of 17. Which leads me to think that we can’t achieve the global goals, without encouraging people to move around and from where I live in the UK, the opposite seems to be happening. [00:04:18] CG: One of the largest threats of the Global Goals for me is the backlash against migration in major parts of the developed world, meaning the countries that used to receive these migrants. 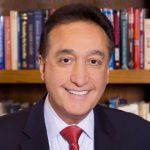 I spoke to Henry Cisneros who is the former mayor of San Antonio about this. [00:04:43] HC: At a time when the wage structure has changed, the number of jobs has reduced, the nature of industries has changed, populations are getting older less secure economically and even in physical capacities. To see new comers with their different accents, with their strange names, with their different complexions, with large families it’s no doubt going to create major tensions. [00:05:12] CG: Then I met Father Michael Czerny the representative of the Holy See to the United Nations when I was in Puerto Vallarta actually during that Global Compact for migration. [00:05:22] FM: First is to understand and even to sympathize with the feelings of fear, of insecurity of bewilderment, of frustration that people do feel. In a certain sense their reactions are not completely baseless or irrational, they really do feel threatened or they really do feel rendered insecure or disoriented. And so it’s, it’s been sympathetic first of all rather than just condemnatory. [00:05:48] CG: So why these internal political fights within certain countries a threat to the Global Goals. To answer that we have to talk first with an expert or two about how migration works a sudden economic force, then it will be so much easier to show how the whole ambition of the global goals could be the railway by political efforts to curtail migration, and I think that the best person I spoke to about is my new boss. [00:06:11] EL: Not just because she’s your new boss. [00:06:13] CG: Not just because she my new boss. She’s is the smartest & she is a representative of the secretary general for Migration in 2018. She is in charge of making the Global Compact for migration a reality. And this is Louise Harper. [00:06:26] LH: They are today as we speak in the world about two hundred and fifty seven million migrants. This is people who live, have moved and lived for more than one year outside their country of birth or or nationality. They are overwhelmingly migrant workers. They have a rate of employment higher than that of native population. Forty eight percent of migrants are women and they’re not all just a member of the family of a man. They are millions of women who are migrant workers in their own rights and the economics are mind boggling. Migrants spend about 85 percent of their income in the host country and the 15 percent that they send home, today represents 600 billion dollars a year. About 450 of that going to developing countries. That amount is three times the amount of official development aid that wealthier countries send to developing countries so the economic powerhouse that migrants are I think has to be nourished and we have to capitalize on that force. [00:07:34] EL: So now have a listen to William Lacy Swing doing a little more myth busting. [00:07:38] LS: The mythology is that migrants are coming to take our jobs when in point of fact migrants are the ultimate development agent, they are actually in most cases actually producing jobs in the SME’s, they come in and they end up themselves creating businesses and hiring people. [00:07:59] El: So that’s the big picture. But as a journalist, I always want to have the human example of what an economist says. So now let’s introduce Brenda. She’s a real migrant just like us. She arrived in the US aged nine from Mexico and here she is speaking about her parents. [00:08:14] Br: My mom was a secretary at Nissan in Mexico City. My mom only has a high school degree because she did have me very young. And my step dad worked as a driver for the vice president of a company. He was any way have a high school degree. When they moved here, my mom was actually out of the job for about six months when they moved, she couldn’t find anything, she didn’t speak the language of course. But my stepdad worked in construction for a really really long time, after that my mom started working at a dental lab where they make like fake teeth and stuff like that, just helping out like minor tasks. And they worked at Wendy’s during that time, they were both working at Wendy’s & construction, they started dabbling with cameras. And just like going to their friends like birthday parties & like taking a little video and editing a little bit & my mom teaching herself how to edit online. So eventually they were able to get into a full grown business for video photographers. [00:09:19] EL: So they were self-sufficient from the minute they got to the US. We’re going to hear more about them shortly but first of all have a listen to my friend Felipe McGrane. He’s a journalist economist and author and he had this to say. [00:09:30] FM: Migration is also beneficial to the country to which migrants move, for the migrants come and do jobs that either the locals don’t want to do or are not able to do. They boost enterprise, creativity and innovation, widen the range of skills and ideas in the economy, and research for the IMF shows for example that an increase of the migrant [INAUDIBLE] population by 1 percent tends to boost productivity and income levels of the existing population by 2 percent. So, that’s really really significant. And if you think about it migration is a bit like starting a business. It’s a risky venture and it takes a hard work to make it a payoff and it’s a natural way to get ahead if you arrive in a country with a few contacts or without an established career. [00:10:17] Unknown: Global Goals cast has the most incredible network of partners that contribute with ideas, stories and evidence points to bring you the most relevant interesting and compelling goals Cast content. Special thanks to the International Office for Migration for this episode. [00:10:36] EL: We heard earlier about Brenda’s parents and how they moved to America worked multiple jobs before setting up their own business. The small and medium sized enterprises that William Lacy Swing talked about. [00:10:46] CG: Do you remember that point that about remittances. [00:10:48] CG: I absolutely loved that aspect of the migration. Those are the new figures that get me going that was that I want to repeat to my friends and here’s what Brenda’s parents do for their relatives in Mexico. [00:11:00] BR: They send back money to my grandmother. She’s getting older and I really want to hold a full time job in the morning and stuff like that. So she definitely needs money. My stepdad also has two other kids. So he sends them money. They will have kids as well. So it’s basically the people that my parents send money to my grandma and my step dad’s two kids. My grandma basically raised me along with my mom. So for my grandma it was really hard not only to lose her daughter but also me. My mom was also a huge huge support to my grandmother growing up just in terms of helping with the house and the bills and all that stuff. So it was a really big big hit for my grandmother. I think mostly and also having my step siblings foster dad who’s here now so they are better off economically that if he wasn’t here but they also don’t have their dad. My step sister finished high school and she started going to culinary school but she did not finish. And my step brother was going to college for electrical engineering but dropped out once he had his kids so he was almost, he did not finish. [00:12:23] EL: So there’s quite a contrast between Brenda and her stepsister. [00:12:26] BR: I started in the fourth grade. Now I did not know any English whatsoever. So it was really hard concession just trying to learn a new language. And just the shock of the culture shock that you have to adjust to all what is just being alone right not having any friends, any family besides your parents. I guess moving around was a big thing for us to we didn’t have a car, it’s moving around and speaking the language. And even the school bus for me it was a completely new concept. I had never been on the school bus. This is the first time I got on it I didn’t really know what to expect. On your word to get off for anything. See those little things like that. Come fifth grade, there was a couple of schools that came to talk to us about applying for their schools for middle school. But I decided to go with Ann Richards. My English was still lacking a little bit. So that mean I got put in special classes for my first year of sixth grade which really helped me improve my English. And by the end I was practically the same as my classmates which was great. They also provided a lot of support for what I was in high school for summer camps and things so I kind of discovered what programming was and knew what it was, but I’ve never done it but I thought it was so interesting. And also we didn’t have a computer science class, and with the help of some teachers who were able to make a class which really helped me on later decide what I wanted to do in college. So fast forward I graduated from Ann Richards and then I now attend the University of Texas at Austin and I’m studying computer science and I’m actually graduating in two weeks. That’s great. 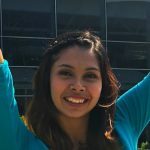 [00:14:14] EL: The Ann Richards School which we heard about in the first episode of The Global Goals cast helped inspire her to become a software engineer. And we know how rare those female computer programmers are..
[00:14:24] CG: Which would they shouldn’t be. But I have hopes that actually that’s going to change in the next years. [00:14:30] EL: Her interest in programming led to a really exciting opportunity and after a nerve racking process with things called host managers..
[00:14:39] EL: Or something like that. It’s now a reality. [00:14:45] BR: Got an interview with one of the project for Google and they got told no and I was like, Great. Yes, about two weeks later I had another interview with another manager and they also told me no. But on the last day that I was supposed to be a host matching, my recruiter got back to me like OK I have one more person that wants to interview you. This is the last chance you have, It was like, OK. So I talked to that manager and luckily he said yes. And he was right like the day before my birthday which is like awesome. I was so happy and in the end that’s how I got my, my internship. And I went to California for three months and got an offer to come back as an intern again and then intern in Boston and then working in the Boston. As a software engineer and then going to working up for their Google Photos team. [00:15:38] EL: And I asked Brenda how she felt about working in the same area as her parents. [00:15:42] BR: It was actually funny because when I was about 16 & I was tried to take photographs of my parents and helping them with their business. I tell my parents that I did not want to do that. I did not like it. So I was going to college to do something else. So, then I got my offer letter from Google with like the photos team, I called my mom and was like it’s just fate, I can’t get away from it. [00:16:06] CG: Edie, I want to hear how Brenda originally go to America. [00:16:10] EL: Here is where the story takes a twist. [00:16:13] BR: My parents both tried coming here illegally. They got rejected just because the way the immigration status say my parents obviously didn’t have any money, they didn’t have a job set up here. Nothing. They were also trying to get me illegally but my parents weren’t able to do it. And this has to do with the fact that I did not owe my biological father but whose names in the birth certificate. So in order for me to get a passport as a child you need both signatures from both parents. My step dad actually came to the states first & he saved lot of money so he paid the people that passes what we call a [INAUDIBLE] a lot a lot of money. There will be a very long journey. So basically we went up to [INAUDIBLE] so that state borders Texas by bus, we took a bus there, Mexico City and we got there. We left Mexico City around 11:00 p.m. got there about 3:00 p.m. the following day, and we went like this car dealership the place where they’re like asked us things and stuff like that. So we stay there for the night and they come back first early in the morning, and basically I remember just run run run, get to the river, take off your clothes put us like this loading thing. Get us cross the river run run run some more. We’re doing this in June. So it was crazy hot. You get into a car told us to stay down. Once a house and they made us wash our clothes we ended up having to leave everything we had on us. And then they took us into another car at that time, they separated my mom and myself. My mom originally never wanted to get separated from me just in case anything happened. But they separated us once we are already in the states and past the checkpoints are past normally like if I was somebody else and my mom was sitting in a car to made it to Austin. [00:18:20] EL: So, Brenda is currently in limbo. [00:18:21] BR: My future just a little bit uncertain at the moment. Come August in terms of my immigration status, I am a Dokka student. So..
[00:18:29] EL: Brenda illustrates the power of migration as well as the drama and the risk. As a fifth grader she forwarded the Rio Grandey into Texas from Mexico because her parents wanted a better life for her. She found the Ann Richards School named for a crusading female governor of Texas. They guided her into speaking English. They taught her math and coding. They center on to Texas’s great public university, and now to a job at Google. However she’s in the U.S. illegally. She had no documents to enter that night, she crossed the Rio Grandey and she still doesn’t. I think we know that Brenda is going to have a happy ending. She’s already received the biggest benefits of migration. Her education, her training, her multilingualism, her job with a global company and the money she and her family has been sending back to Mexico. Even if the anti-immigrant politics in the U.S. force her to leave the USA, Google has said she can have a job in Canada or Mexico. In fact when I spoke to her, her biggest fear is whether her Spanish is good enough. [00:19:40] CG: I know, that’s a big problem for Hispanics. I can testify myself. What I want to know is what about the Brenda of today, a fifth grade girl in Mexico today, will be Brenda’s age in 2030. She’s one whose life will be one of a million life stories that will add up to whether the world achieves the global goals or fall short. Will she get to come to Texas and attend the Ann Richards School? Will the backlash against migrants lead with her options and the options of all those others trying to make it and to have better lives? So I spoke to Lord Mayor of Dublin about what’s at stake. [00:20:18] BC: Deeply concerned over the policies of some national leaders are taking at the moment and I think disparity, center phobic chauvinistic view of society is going to damage the world in general. [00:20:32] CG: So we’ve got a variety of people that spoke to us about migration. We heard the personal story that girl that crossed the mayor of the city, the father from the Vatican, Louise Arbour. My sense and I do have a sort of like a strong opinion on this is at migration in general is positive. I think that the speed of migration will increase, and the third part is that it has to be regulated. I understand the fear of the other angle, the receiving countries, or the people from the receiving countries, who are scared and are based on perception rather than data. But it is also fair to say, yes, if you’re used to having a community where you have your friends and your neighbours, and your habits and so on, when you go to the supermarket and you can no longer find the bread that you buy on Sunday’s because now you find tortillas, it is a shock. It is a cultural change and you have to actually be realistic about how do you manage that so that it’s integrated and I do think that it is an issue of putting the rules of the game to make it regulated for everybody. [00:21:57] EL: So and from my perspective I’d say from being from California and seeing tech leader after tech leader say we’ve got to have migration. You can’t if we don’t open the doors to have people from from Europe from India actually we won’t be able to create the solutions for the technology that will solve the world’s problems so that’s sort of one part of what I see. And I actually see from when I’ve lived in London how much has changed and how much the neighborhood has changed, in my neighborhood there never used to be a Polish grocery store. Now there’s loads of Polish grocery stores. I think you can great it with fear or I think you can greet it with enjoying the multiculturalism but I’d love to hear from you is when you were in Puerto Vallarta at the beginning of the Global Compact. What are the ways that people have started talking about how you build this framework, where countries talk about, how many folks come in and out and how does that sort of structure start to look? [00:22:50] CG: Do you mind If I actually just like say what the global compact for migration is once again? [00:22:56] EL: I would like you to say what the Global Compact for Migration? Could you please tell us what the Global Compact for Migration is? [00:23:03] CG: Thank you for asking. So the Global Compact for migration, it will be the Sustainable Development Goals type of treaty for migration. It is trying to make the rules of the game to make migration regulated orderly & systematic with the approval of one hundred ninety three countries. Ideally it will be done and launched by September 2018 with a huge summit in December 19 in Morocco where I hope to go and afterwards go on celebrate in Marrakech. I say that’s a plan. [00:23:36] EL: I think that’s a good plan, I know you like a plan. [00:23:39] CG: I love plans. So keeping the global compact for migration, I mean having these incredible number of countries and not every country came and there was one that pulled out the last minute not the only one but the important one and I thought it was going to be like a party pooper. Just like your [INAUDIBLE]. Actually the show went on and it was the first conversation that I saw turning around an issue and turning the tone from a conversation that people felt I’m not going to be talking about it and there were more than 2000 people in that conversation. A big part of this problem is that we don’t understand the phenomenon enough even if it’s historic, you don’t know the points, you don’t know when people leave and why they leave. How is their journey, what is their arrival and when they return. We need to understand what is the state of a person when they decide to leave their home. Can you imagine what has to go through your mind when you are leaving, what kind of like emotional, psychological push you need to have and I don’t know whether we were either quantifying it or understanding it enough, we’re not understanding the risks of the journey when someone is leaving to get to another destination. When people arrive to a place I think that that’s where the focus has to be, integrated not integrated, good for society, not good for society and so on. But also it’s hard when people try to go back home you know. [00:25:06] EL: But even just in terms of folks who decide to move to be an economic migrant. I think you could possibly argue that I was an economic migrant I wanted some adventure. I wanted to see what life was like somewhere else. I had a huge opportunity to go to and when I decided to move to the UK. [00:25:20] CG: You too look like an adventurous. [00:25:21] EL: I, I seriously adventurous. [00:25:55] CG: It just like crazy. When having four hundred and fifty billion dollars sent from..
[00:26:00] EL: developing country to developing country. [00:26:06] CG: So the question is if you stop migration who is going to do you have to increase foreign aid. [00:26:13] CG: Or who is going to do the increasing foreign aid. [00:26:15] CG: Because there is..
[00:26:15] EL: In this political planet, who’s going to increase the foreign aid. Okay so it’s interesting you said that our country didn’t show up, the United States didn’t show up or I thought it was really interesting was that some of the U.S. states said they wanted to be part of the global compact. [00:26:28] CG: And another really interesting phenomena about migration is that cities are taking that power because they can actually establish the rules of the game and cities in general are the ones that are receiving migrants that are producing with migrants that are you know like..
[00:26:46] EL: And being open to migrants to. [00:26:47] CG: Exactly, so that’s going to be a space to watch. [00:26:51] EL: So as always we’re going to leave you with some facts you can share and actions you can take. If you’re talking about migration at lunch here’s three facts you can share. [00:27:00] CG: So add up all migrants in the world and they will be the fifth largest country. Two hundred and fifty five million people. Brazil and Indonesia put together. [00:27:13] EL: Migrants send 450 billion dollars home to developing countries each year. That’s three times the amount those countries receive in international aid. [00:27:23] CG: And migrants add 4 percent more to the global economy each year than they would have, if they would have stayed home. our dear listeners with some actions you can take to be part of changing the world. If you want to do more, go to the action section of our web site – GlobalGoalscast.org where our partners from action button will help you get engaged. [00:27:49] CG: Thank you for listening. Our next episode is live from the World Economic Forum in Davos where we will have an exclusive first interview with Father and Son explorers Rob and Barney Swan after returning from their six hundred mile trek from the South Pole using only renewable energy walking for 60 days. [00:28:10] EL: And if you want to make sure you never miss a show, subscribe to us at our website- GlobalGoalsCast.org. iTunes or wherever you get your podcasts and please follow us on Twitter Instagram and Facebook at Global Goals cast. We’ll give you the latest news and developments. [00:28:26] CG: That was Edie Lush and I am Claudia Romo Edelmen. Thank you for being with us until next time. Bye Bye. Thanks to all our U.N. and NGO partners. We are also grateful for the support of Hub Culture, Freuds Communication, SAS, Saatchi Saatchi and CBS News Digital.